Available Colors: Dark Grey, Black, Pink, Navy Blue, Orange, Purple, Red, Royal Blue. 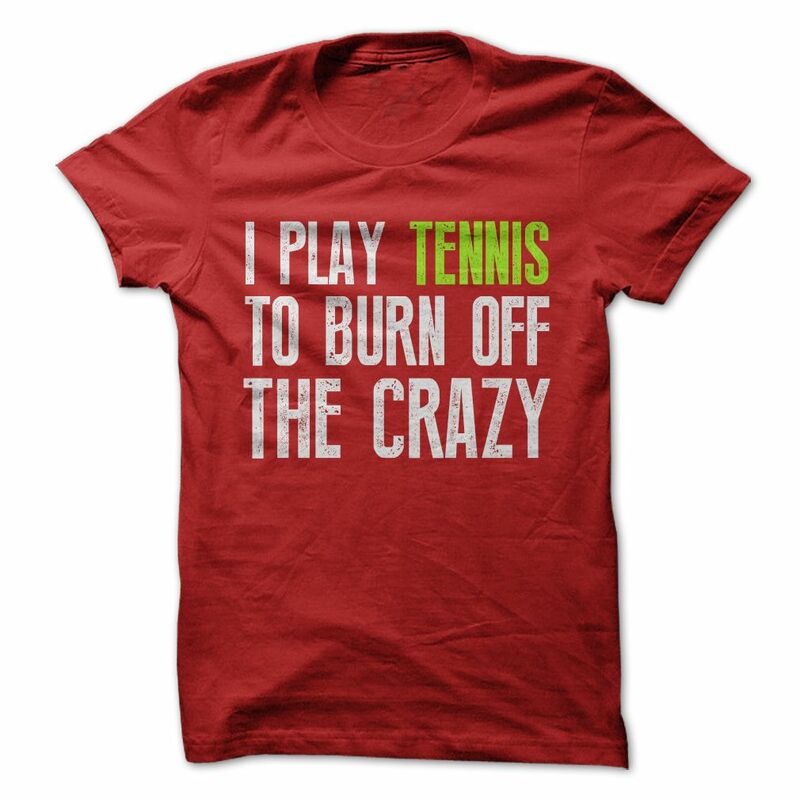 If you are a tennis player, then this t-shirt is for you. Perfect for crossfit athletes, runners, gym rats or anyone into fitness who loves to run and is a little crazy! MUST have for runners, Crossfit athletes or anyone who is into fitness. Running is a method of terrestrial locomotion allowing humans and other animals to move rapidly on foot. Running is a type of gait characterized by an aerial phase in which all feet are above the ground.